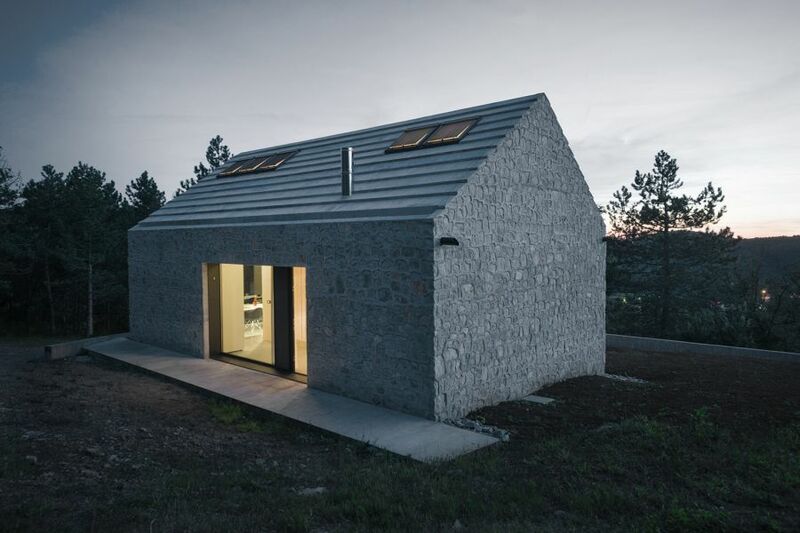 Designed by Dekleva Gregorič Arhitekti this simple-looking house is located in Slovenia and represents a modern take on a traditional cottage. 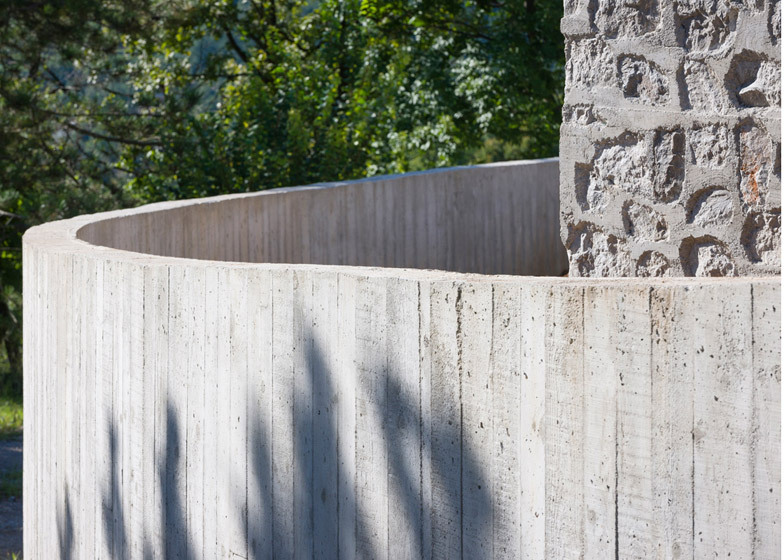 Compact and designed as a monolithic structure it features concrete walls inlaid with stone. 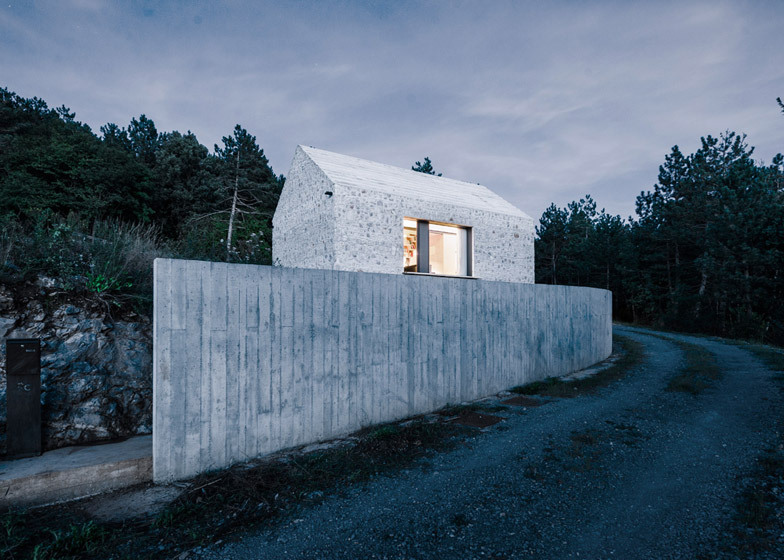 Small and compact houses are popular in this region and this particular one combines elements of both modern and traditional architecture. 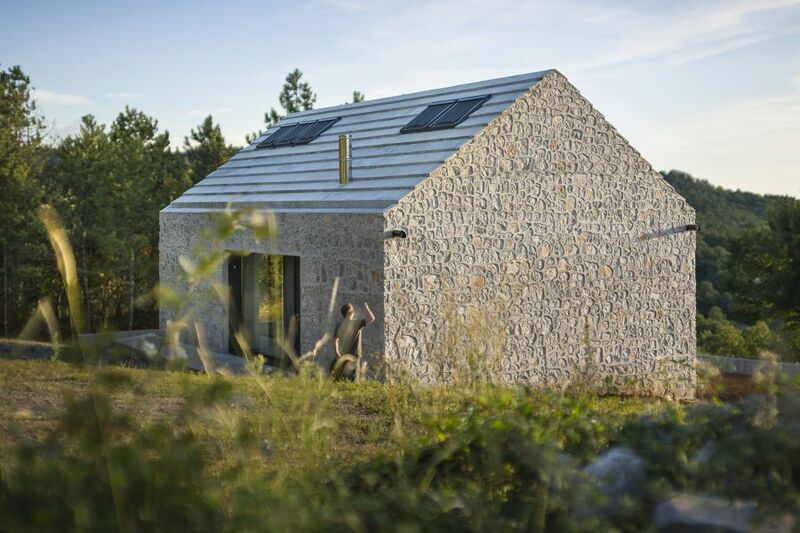 The exterior of the house features a rugged texture because of the combination of materials but the interior is a lot more friendly and inviting. 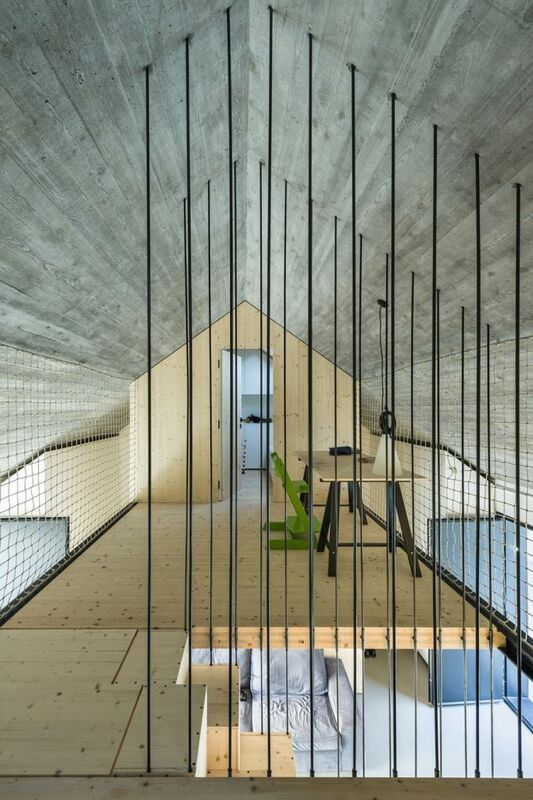 The structure was built using the house within a house concept. 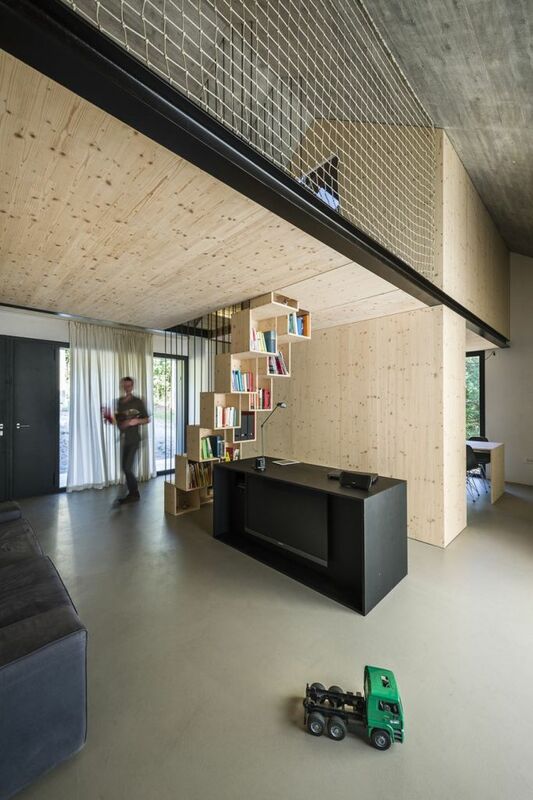 A series of wooden volumes were inserted into the house and they delimitate the areas and the functions while also allowing the rooms to look and feel like tiny individual homes. 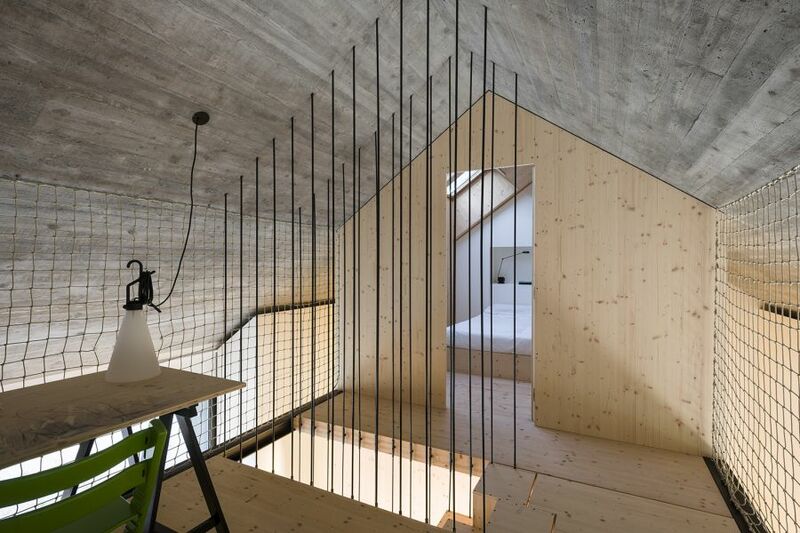 The wooden volumes feature pitched roofs, just like the main house itself. 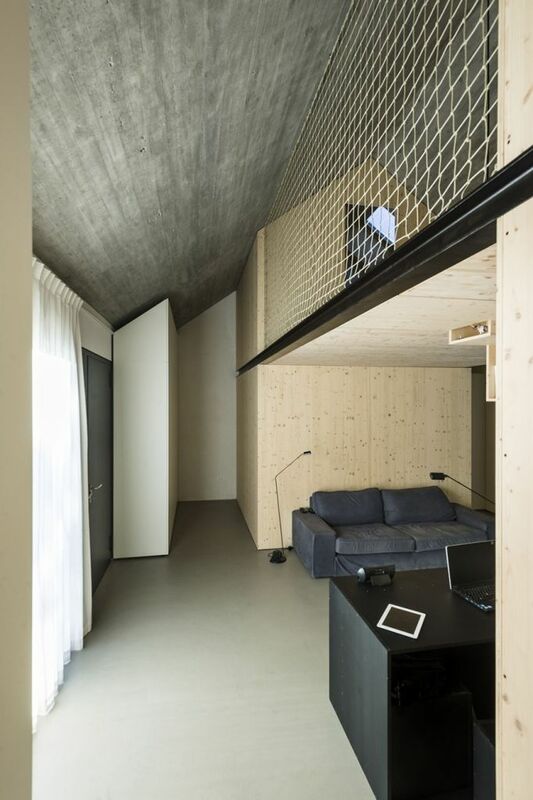 The ground floor is a semi-public space that contains the living room, the kitchen and a shared bathroom. 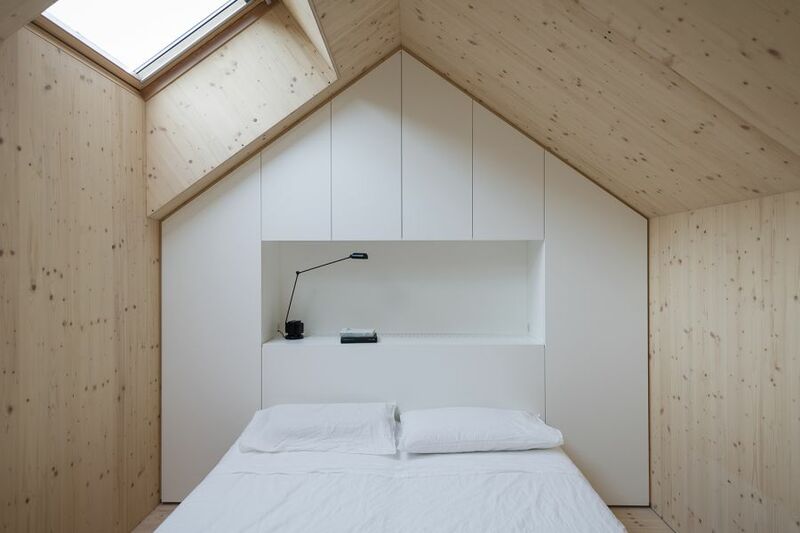 It’s an open space with a minimalist design. 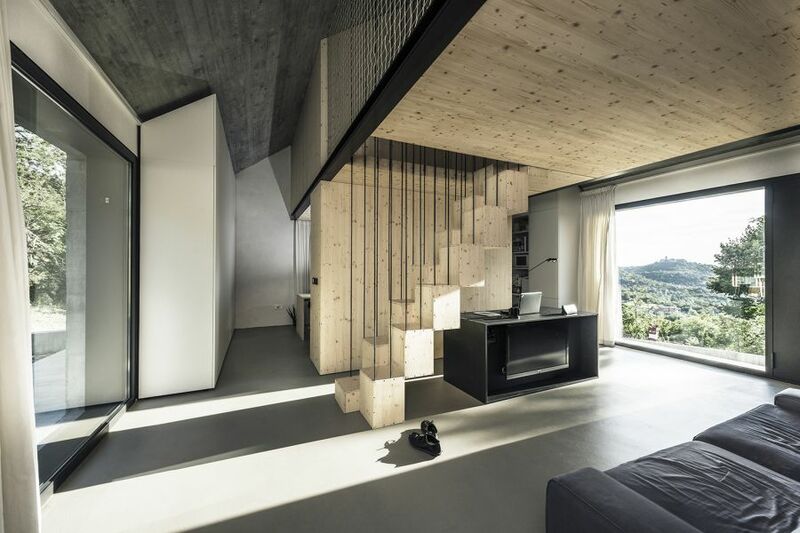 The color scheme is simple and based mostly on neutrals, featuring gray as the star shade combined with natural wood accents and white portions. 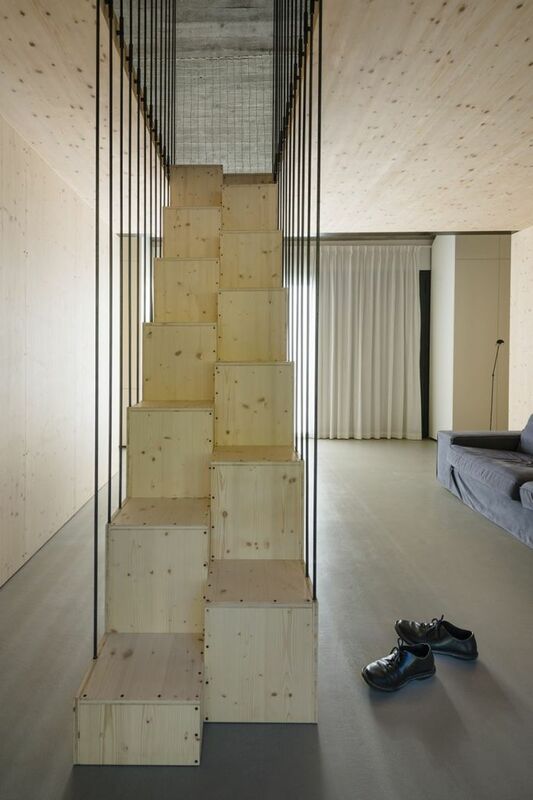 A wooden staircase leads to the second floor. 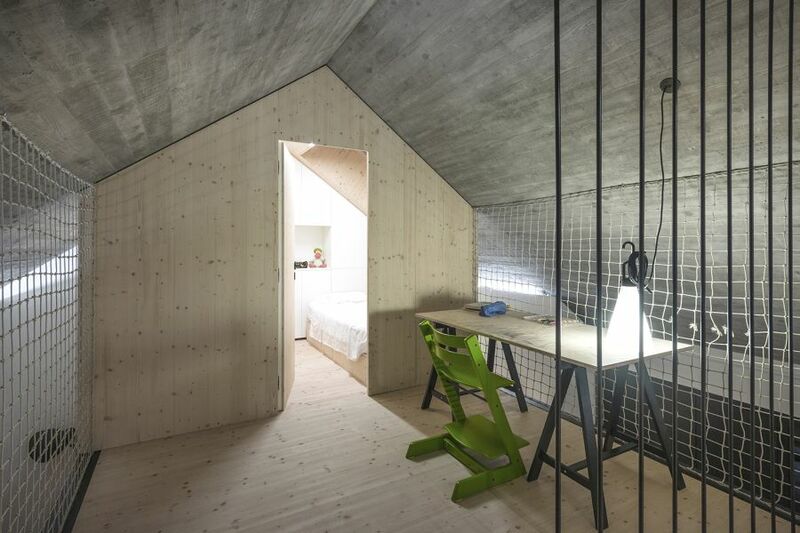 The bedroom, the playroom and the children’s room are located here. 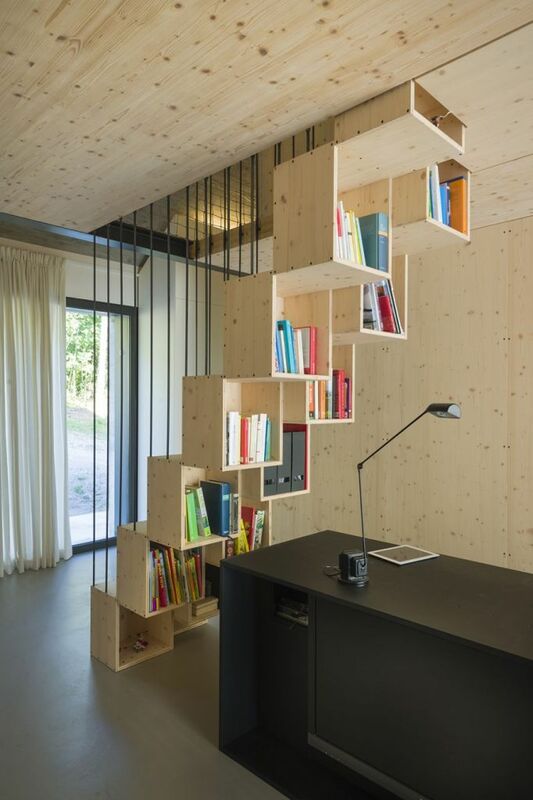 The staircase also doubles as a bookcase, featuring storage compartments that complement a desk situated just beneath. 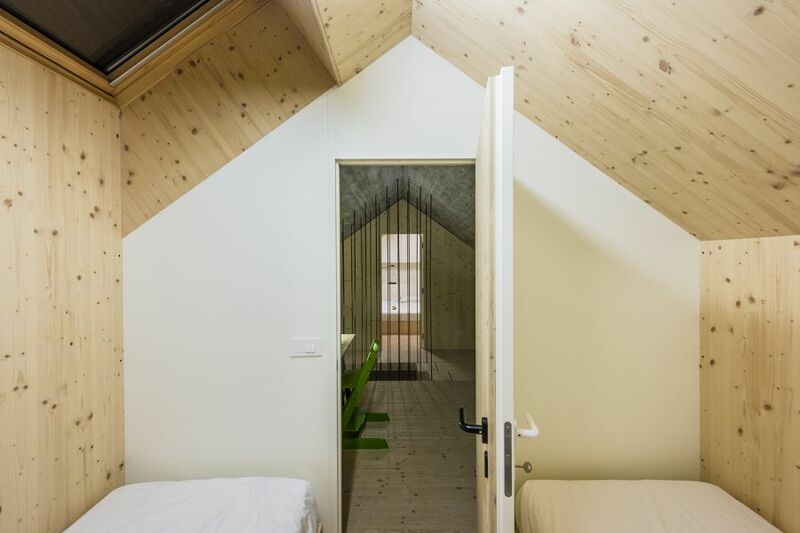 Each bedrooms resembles a separate wooden house with a lovely pitched roof and a stand-alone look. 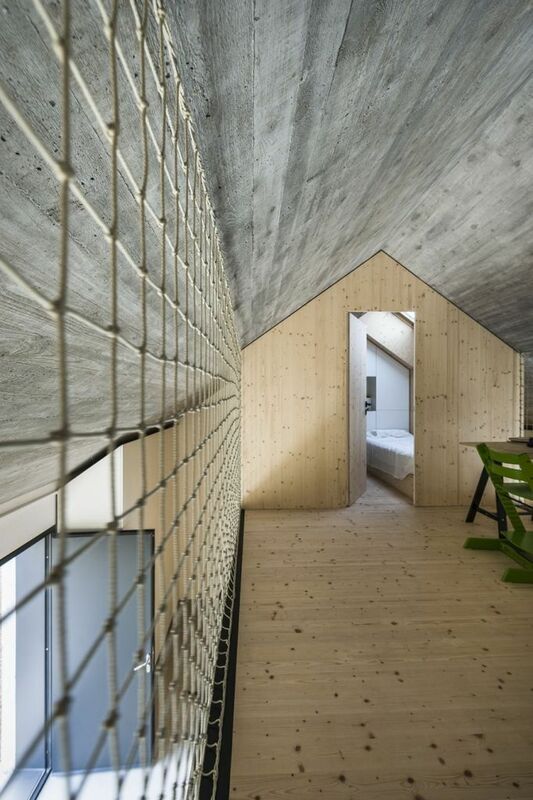 The two bedrooms look down onto the ground floor living space, featuring a rope wall. 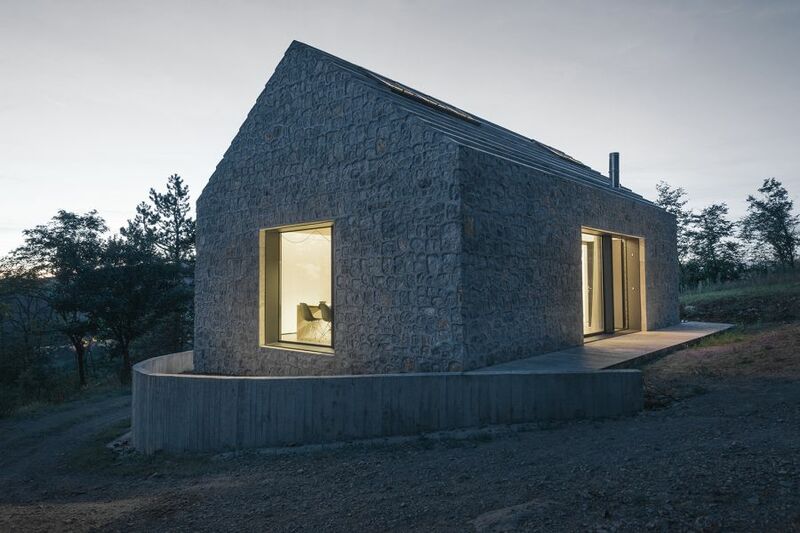 The house has very few windows. 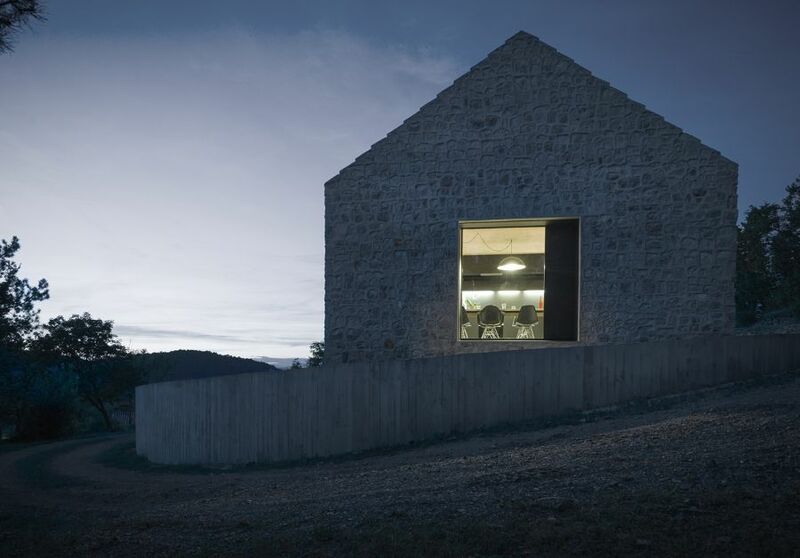 This type of design is common to the region and gives it an authentic look, allowing it to seamlessly blend in. 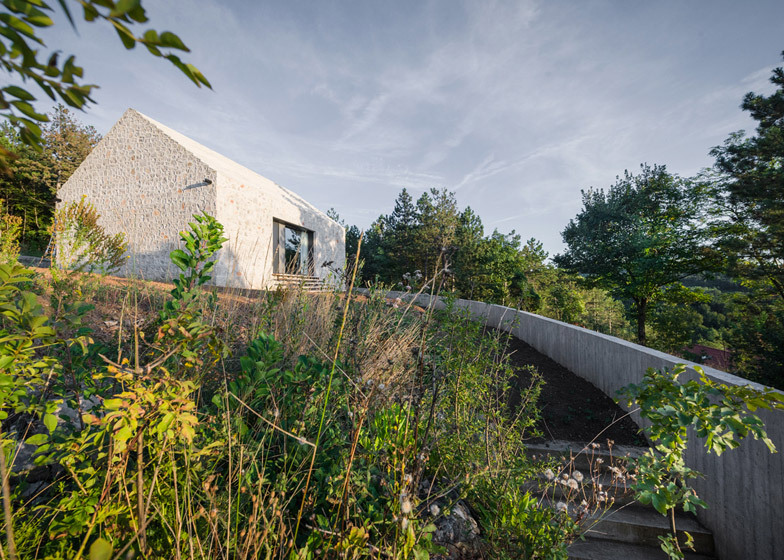 The upper floor areas enjoy views of the sky and the surroundings while the ground floor spaces get to connect with the outdoors. 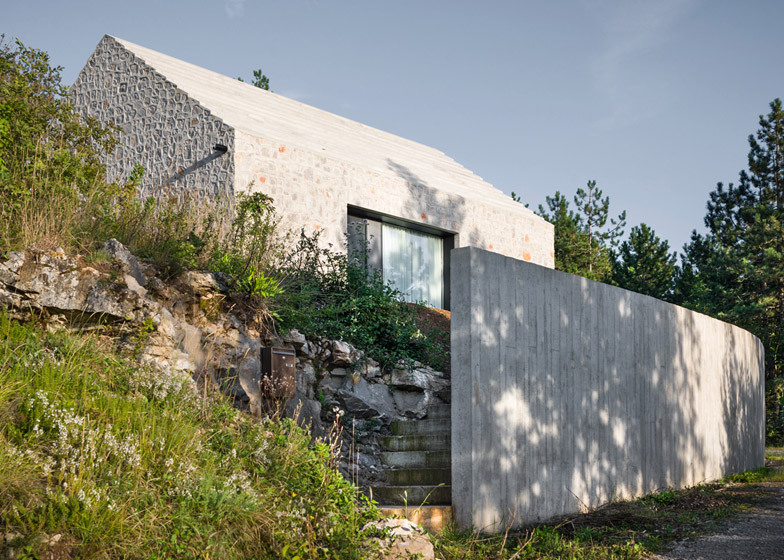 A concrete fence surrounds the house on one side, softening the harsh texture and straight, clean angles but also emphasizing the rugged look at the same time.